A while back we showed a sample of our football shaped CombiPASS. Response to this product has been super. We now also have a new "Round Ball CombiPass" which is excellent for soccer, basketball, hockey, and baseball venue parking or if you simply want to feature a sport in general. Let us know your idea and we are happy to work on concept art. With the added key fob you not only manage parking, you also inspire loyalty. We call that a win-win. 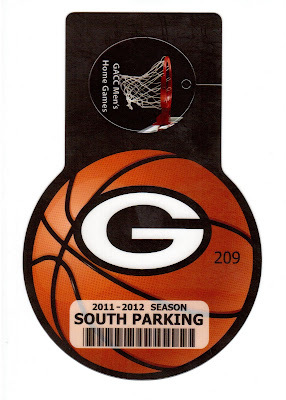 We are starting to see quite a few more requests for QR codes and have manufactured several event credential and badge holder orders with this code included. It's great to see that Jolly Technology, one of our software partners for visitor management and ID card software, is now supporting QR codes across their product line. Well done, Jolly. Well done. Have you considered using QR codes, yet? Do you know what they do? 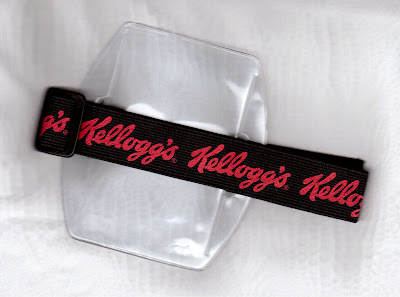 Occasionally we get a call to see if we can print on arm band badge holders. Sure. It is in our wheelhouse to drop print on the vinyl pocket or the elastic armband. What specialized project can we do for you? 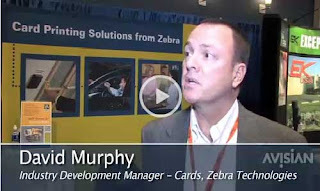 Here is a shout out to our good friend, David Murphy, from Zebra Technologies. Do you need your ID cards to be secure? How secure? You can be confident that our advice will help you make the best informed decision.